How can SEO services help your business grow its online presence and be found by your target audience? Search engine optimization cannot be ignored as these sites generate over 4 billion searches a day. A strong presence on a site like Google can ensure steady traffic, a strong online reputation and make it easier for you to be found by the right visitor. Working with an experienced SEO company also ensures that all methods and services are being completed the right way. At Virtual DBS, our team of experts will sit down with you to show you the advantages of these options, how it can improve your conversion rates on other marketing efforts and more. Keyword analysis: This is one of the most important steps of the process for search engine optimization. Rather than focusing on keywords that will take years to move up on, or keywords that generate zero traffic, our team identifies competitive terms that you can see real improvement on within 3-6 months. Website improvements: You cannot see real improvement in rankings on search engines without improving the quality of your site. Whether it’s load time, content, tags, 404 errors, images or something else, we will go through your entire site and find areas that need to be improved to ensure that your site is mobile and user friendly and follows the requirements Google has made. Working directly with Google: Our experts have years of experience working with and even for Google and know exactly what the top search engine will be looking for in order to determine ranking for your site. 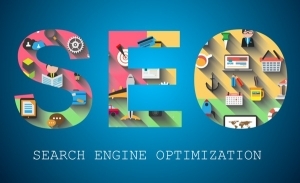 A real SEO company understands what it takes to meet the requirements of a site like Google including updated, quality content, videos and images, solid links, unique information, business listings, use of maps and more. Content creation: Inhouse copywriters research your business, competition and create original, high-quality content that is shared throughout the web and meets all the latest search engine requirements. This content can be used for blogs, web content, press releases and more. While working with an experienced SEO company is great, one of the main advantages of working with Virtual DBS is that we can combine this feature with other marketing services to increase traffic, conversions and ROI. This includes using options like email and social media marketing, display banner ads, geofencing, pay per click and more to generate fast traffic and utilize SEO services to reinforce your presence as an industry authority whether it’s locally or nationally. Interested in learning more? Contact Virtual DBS for a marketing consultation and get your FREE SEO WEBSITE AUDIT today!